A US government employee in China reported experiencing a mysterious and “abnormal” sound that caused him to suffer from a mild traumatic brain injury (MTBI). 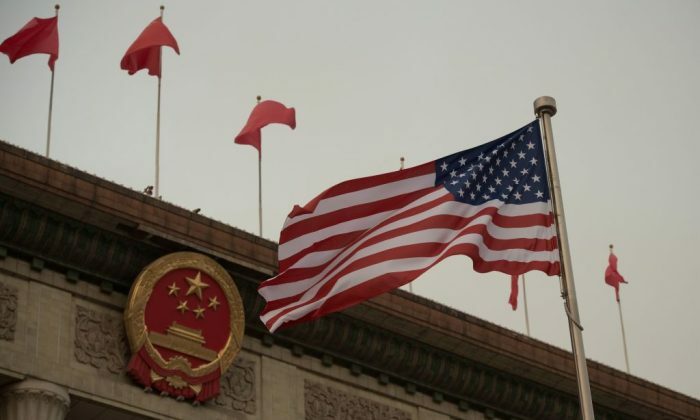 In the alert, U.S. Officials said that they currently do not know what caused the reported symptoms, adding that the government is taking the incident “seriously” and has informed Chinese officials of the event. According to the alert, there have been no other similar incidents in China, inside or outside the government. The unnamed employee, assigned to the Guangzhou consulate, reported the symptoms from late 2017 through April this year. A US embassy official told Reuters that the employee suffered from a variety of “physical symptoms” during that period of time. “If you have concerns about any symptoms or medical problems that developed during or after a stay in China, consult a medical professional,” the warning stated. The staffer was sent to the United States for further evaluation, where clinical findings found that the symptoms matched those of an MTBI. US officials did not explicitly link the incident to other cases, but it appears similar to another unexplained “sonic or sound” attack in Cuba last year, that left some 21 embassy staffers ill. The employees, working for the US embassy in Havana, appeared to have been targeted. Their symptoms included hearing loss, dizziness, fatigue, and cognitive issues, according to Reuters. Cuban officials at the time denied knowing that the incident was from a sonic attack. In response to the incident, the US government has issued a level 3 travel advisory to Cuba. The incident in China comes as Secretary of State Mike Pompeo meets with Chinese Foreign Minister Wang Yi in Washington to discuss trade on Wednesday afternoon.